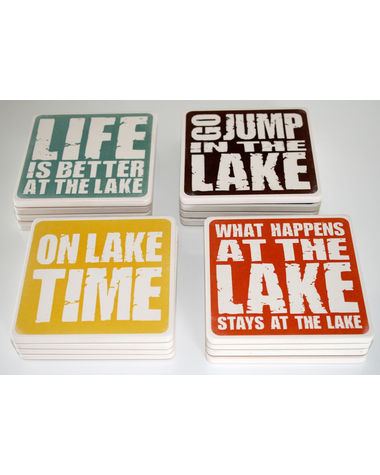 This mixed set of four absorbent stone coasters features some of our most popular lake sayings. They are 4.25 inches wide and corked on the bottom. They're the perfect way to protect the wood surfaces at your lake house from beverage rings and spills. 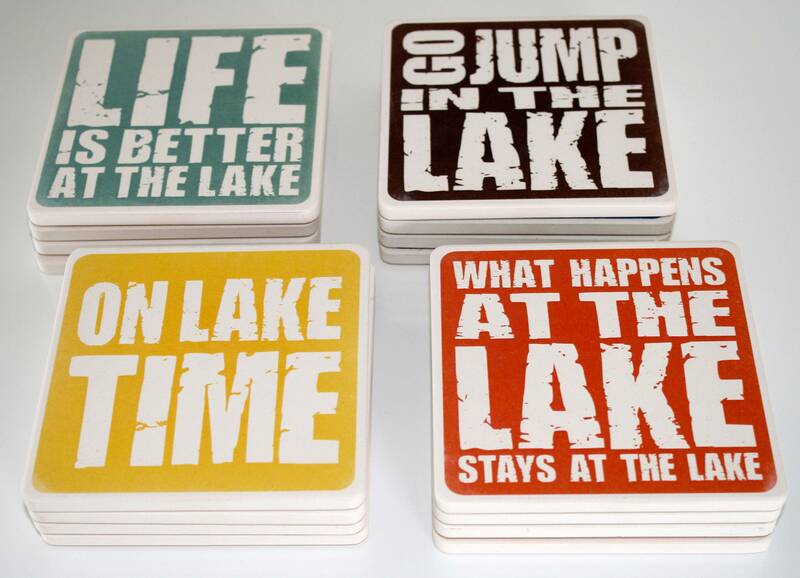 This coaster is a simple, easy way to keep the lake with you anywhere, and a great lake house gift for your favorite lake lover. Nice lake coasters, better quality than expected.